Means Neato has the brains to maneuver around your life. 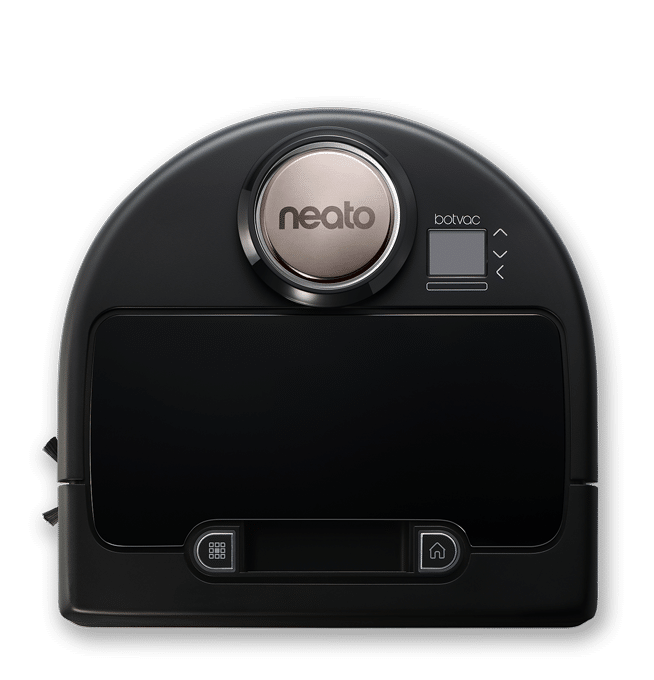 Methodically cleans, moving from room to room— Neato robots understand your house and lifestyle. Patented technology scans and maps the room, planning the most efficient course– and vacuuming your house in record time. Neato robot vacuums see, sense, and respond to furniture, toys, and stairs— carefully moving around them without missing a spot. Navigates well in rooms with little to no light unlike other navigation systems. Continuously scanning the room while cleaning keeps the robot aware of any changes in the room to make sure it’s still cleaning on an efficient path every time. Cleans up to 4x faster (which means you can clean more floor area during a cleaning run). If it needs more power, it automatically returns to the charge base, powers up, then goes back to finish the job.